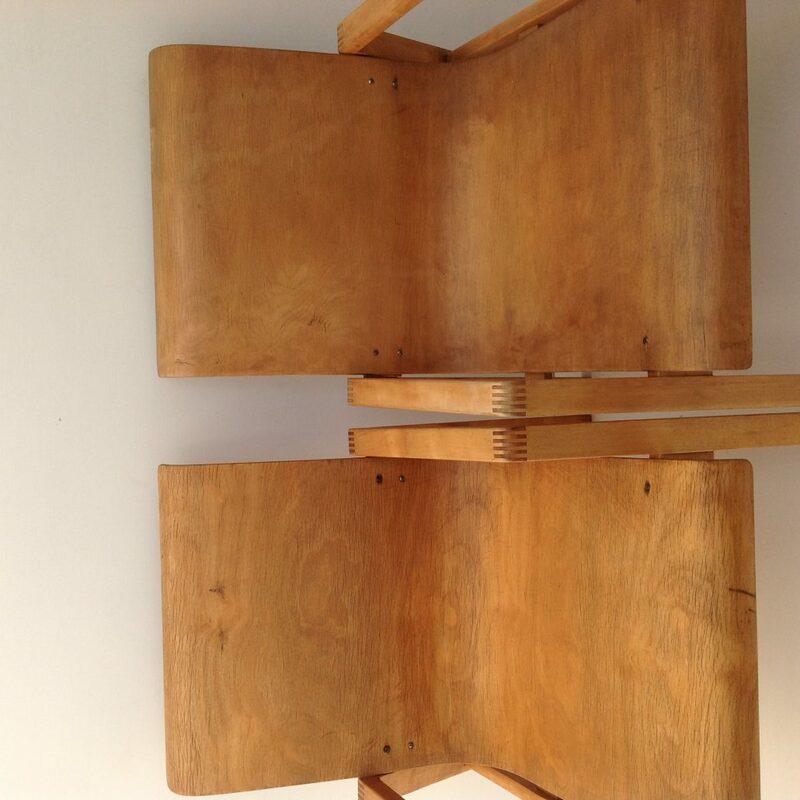 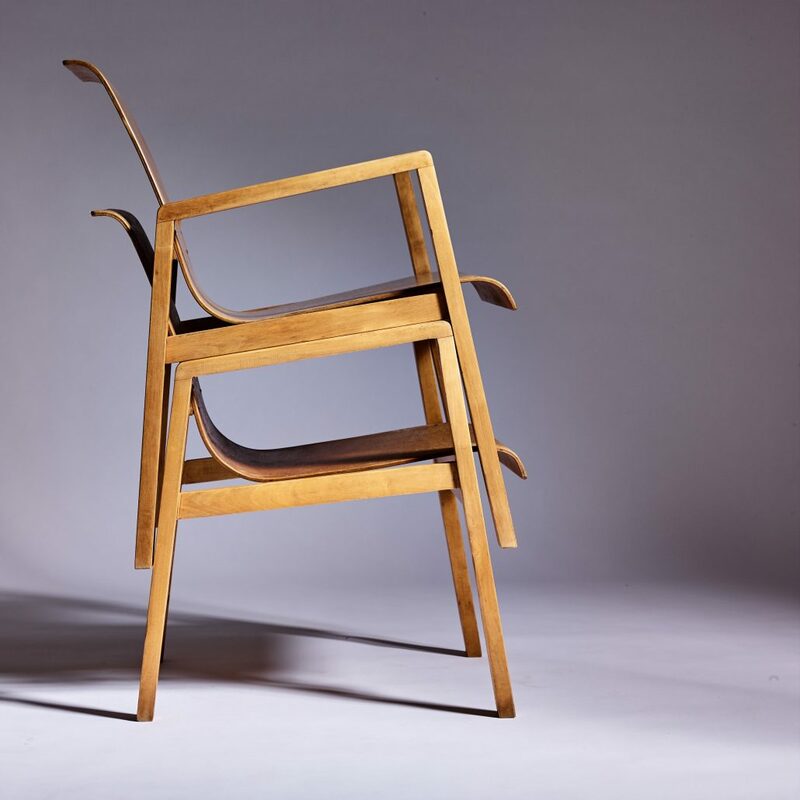 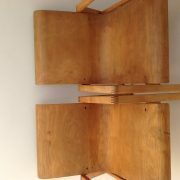 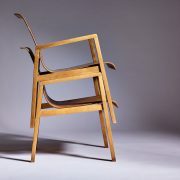 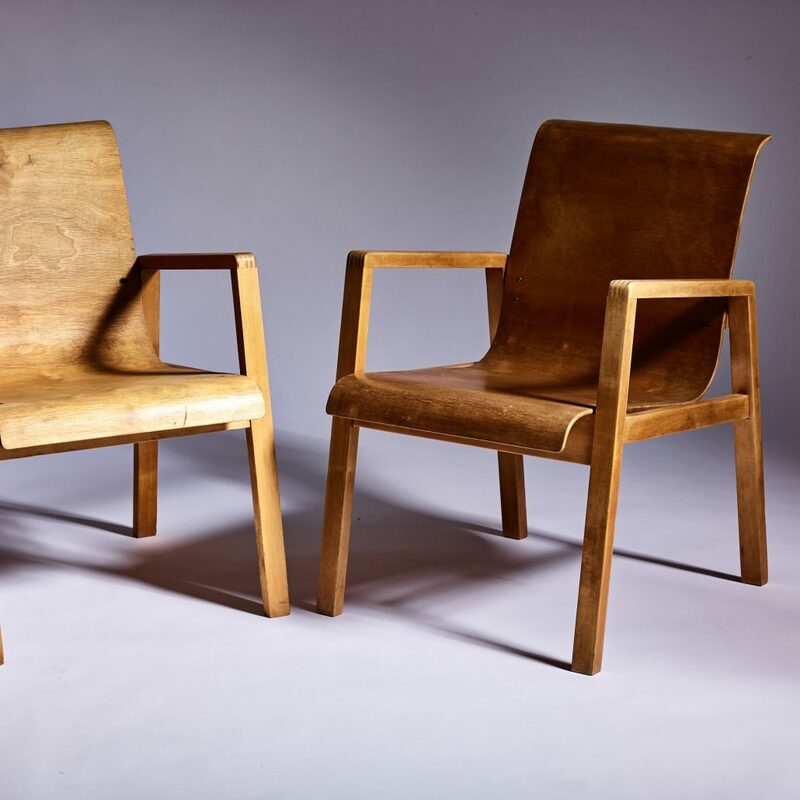 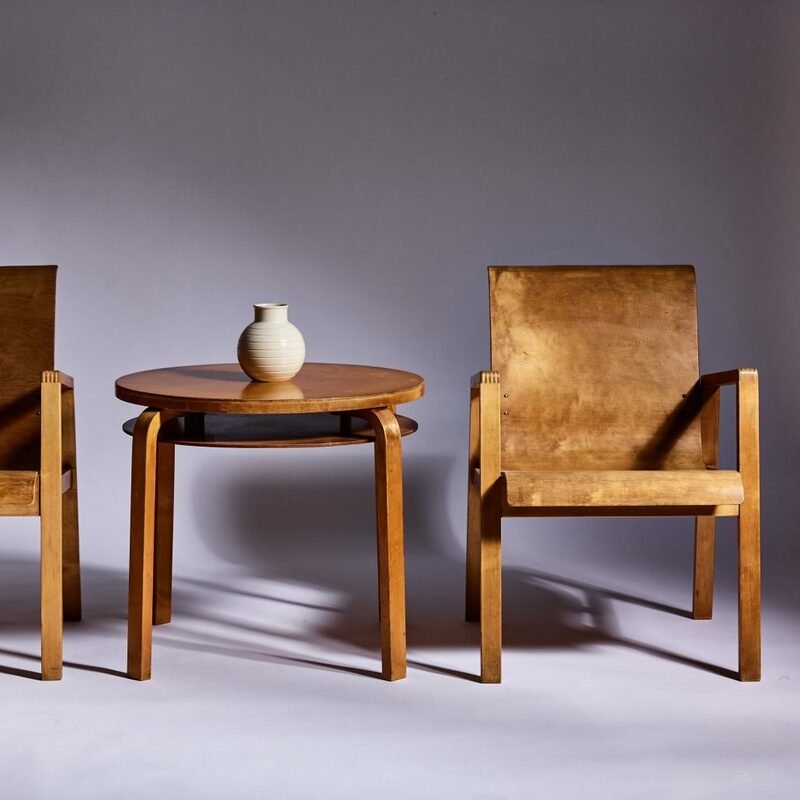 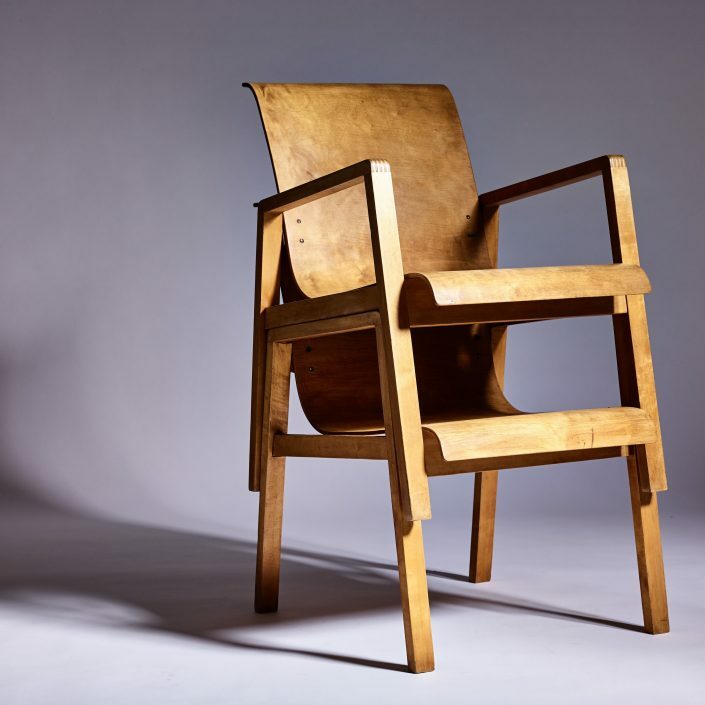 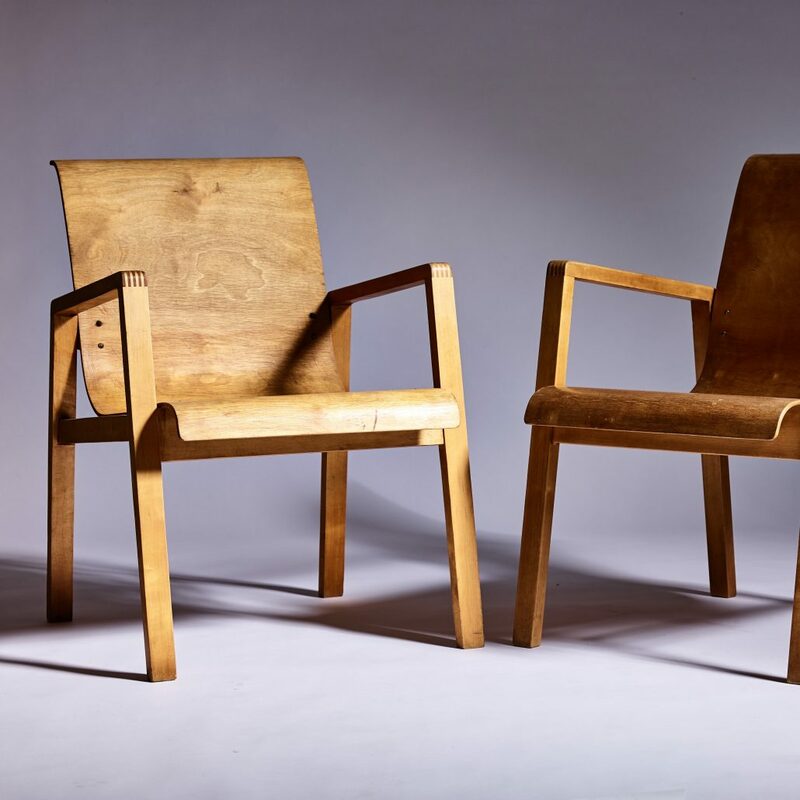 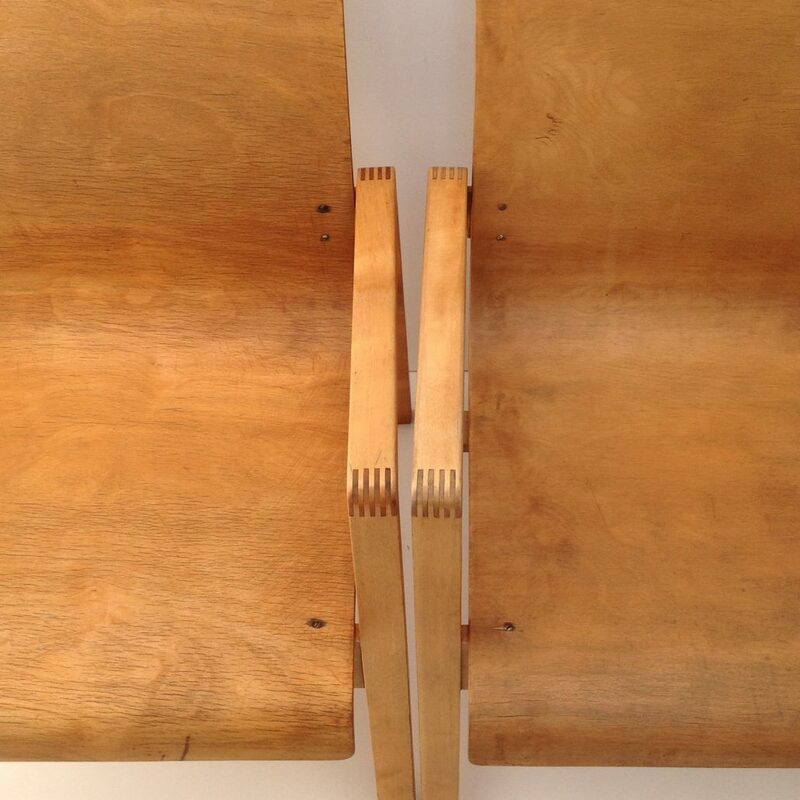 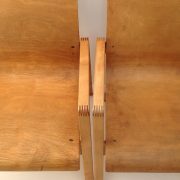 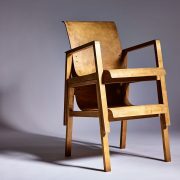 A beautiful pair of Aalto’s ‘Hallway’ chairs so named as they were designed and used in the hallway area of his Paimio Sanatorium building in his native Finland. 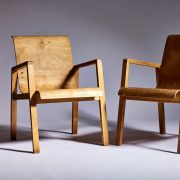 These understated stacking chairs have become a design classic. 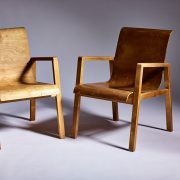 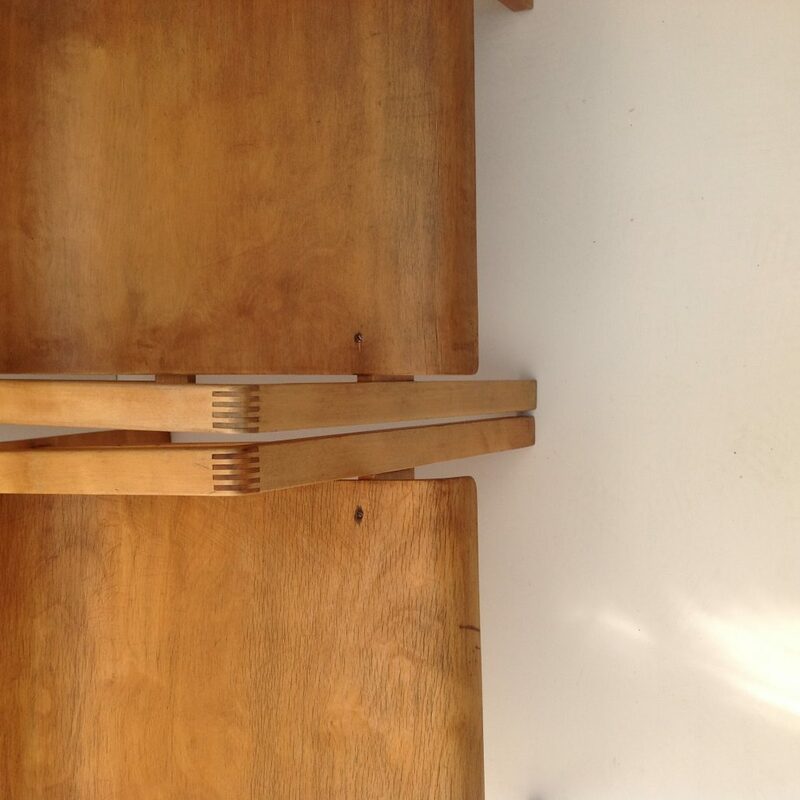 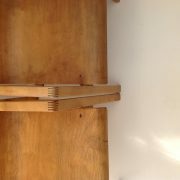 This pair have a beautiful golden natural birch finish and retain their Finmar ivorine plates.